Harmony Public School, is located in a rural setting in Corbyville, 2 km north of Belleville and just east of Hwy. 37. As the “Home of the Harmony Huskies,” Harmony PS serves approx. 535 students from Junior Kindergarten to Grade 8. 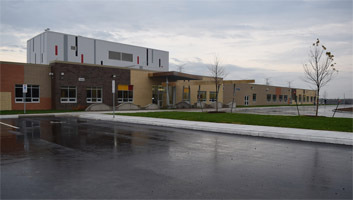 Most students proceed to Quinte Secondary School in Belleville for Grades 9 to 12. Harmony PS is a new, state-of-the-art facility that opened on Oct. 28, 2014. It is a single story, 59 000 sq. ft. building that includes a double gymnasium, full stage and beautiful Library Learning Commons. The design includes 23 classrooms and a variety of open spaces that allow staff and students to collaborate and learn together in new and creative ways. All classrooms are equipped with SMART interactive whiteboards and soundfield amplification systems that provide clear, crisp communication to all students in all areas of the classroom. Click here to see inside. Community partners include the Thurlow Fire Department who provide students with CPR, mock accident and fire safety training, and the YMCA to provide before and after school programs. Harmony Public School provides opportunities for all students to excel in academics, the arts and athletics. 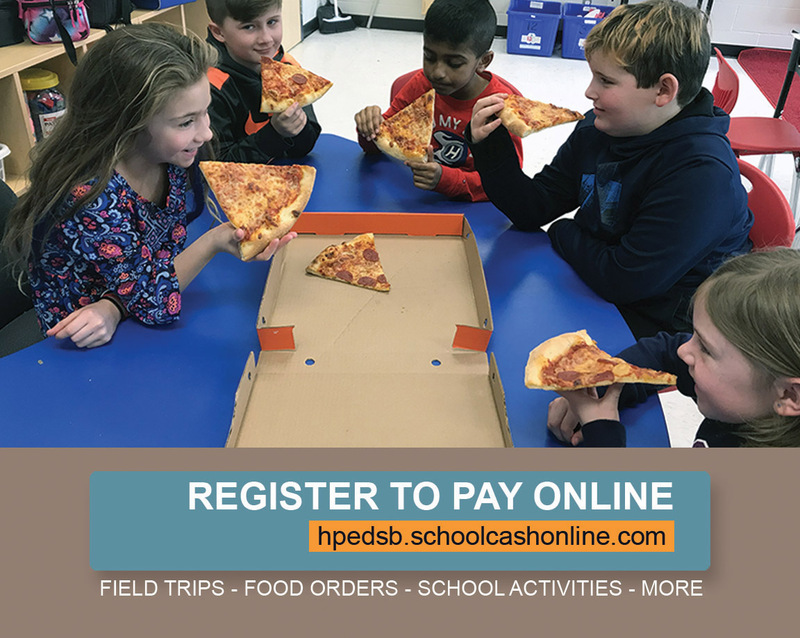 Enrol at hpedsb.schoolcashonline.com. Registration only takes a few minutes and you will be able to see payment history, print receipts, and receive email notifications whenever new student items are posted for your child. October 24, 2017- So much excitement today! 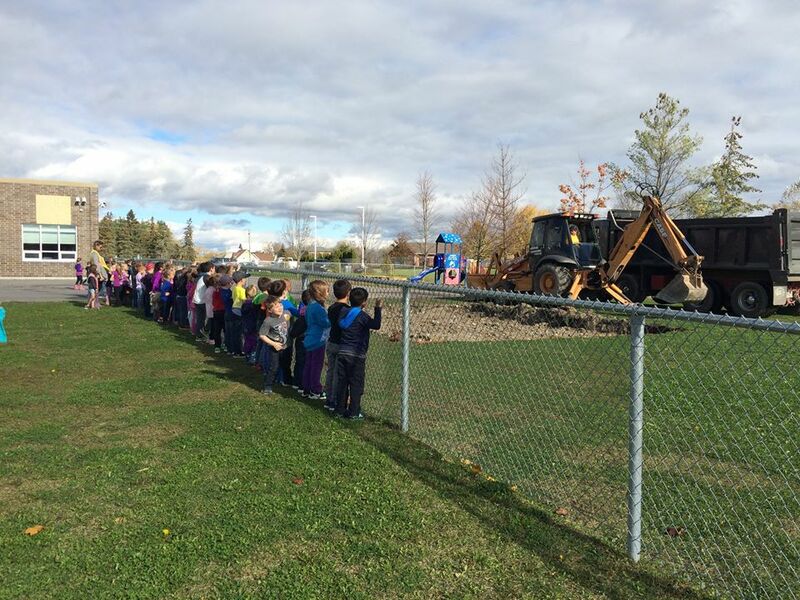 We are getting new swing sets and climbers thanks to School Council and all of the students and parents who have supported fundraising initiatives for past few years. Sign up using this form if you wish to receive news updates, including electronic copies of our school calendar and newsletter. You can unsubscribe at any time, and currently will still receive a hard copy of our monthly newsletter.